Estate plannng lawyers don't all charge the same way. You may want to ask up front if you're more comfortable with one way or another. Lawyers like flat fees for several reasons. First, they can use forms that they’ve already written – most estate planning lawyers have a set of standard clauses that they have written for different situations, which they assemble into a will that fits a new client’s wishes. It won’t take a lawyer much time to put your document together, but with a flat fee the lawyer can charge for his or her expertise and experience. A flat fees means they don’t have to keep detailed records of how they spend their time, either. Finally, some lawyers feel that a flat fee arrangement lets everyone relax and makes for a better attorney-client relationship. You won’t feel reluctant to call or email with a question, and the lawyer can take the time necessary to listen to your concerns and explain things to you without feeling like the meter is running. That said, lawyers don’t charge all of their clients the same flat fee. You’ll have to talk to a lawyer to find out what the cost will be for you—don’t expect to find a list of prices on the lawyer’s website. A conscientious lawyer does this not to hide the ball, but because it’s impossible to know what you need without a conversation about your situation and wishes. A good lawyer will talk to you (on the phone or in person) before quoting you a price. Some estate planning lawyers bill clients by the hour. The hourly rate will depend primarily on the lawyer’s experience and training, and where you live. In a small town, you might find someone who bills at $150/hour, but in a city, a rate of less than $200/hour would be unusual. Lawyers in big firms generally charge higher rates than sole practitioners or small firms, unless a small firm is made up of lawyers who specialize in sophisticated estate planning and tax matters. A lawyer who does nothing but estate planning will probably charge more than a general practitioner, but should also be more knowledgeable and efficient. If your attorney employs less experienced lawyers (associates) or legal assistants (paralegals), their time should be billed at a lower hourly rate. Many lawyers keep track of their time in six-minute increments (one-tenth of an hour). That means that you’ll never be billed for less than six minutes’ of the lawyer’s time, even if the lawyer spends just two minutes on the phone with you. This is good advice because every adult should have these durable powers of attorney. They give someone the power to act on your behalf (always in your best interests) if you should become incapacitated—for example, because of an accident or unexpected serious illness. These are not complicated documents, and many states have their own forms for the advance directive. But they’ll probably add a few hundred dollars to the bill. A lawyer may also recommend a living trust, which will let your family avoid the expense and delay of probate court proceedings after your death. Not everyone needs a living trust, though. It depends on where you live (probate is more expensive in some states than others), how you own your assets (if you own everything jointly with your spouse, you may not need a trust now), and your age (younger people, generally, don’t need trusts). Lawyers typically charge much more for a living trust than for a will, even though a simple living trust is a fairly standard document, like a will. It’s rare to see a price of less than $1200 or $1500 for a trust. One caveat: After your will has been property signed and witnessed, you’re done. But after a living trust is drawn up and signed, you must change the title to assets that you want to leave through the trust. Make sure you know whether the lawyer’s fee includes doing this work (called funding the trust) or not; if not, you’re responsible for getting this crucial step done. 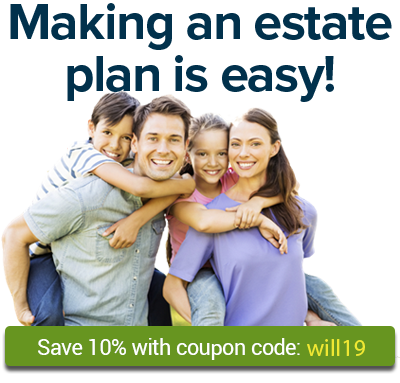 If you want to avoid legal fees or cannot afford an attorney, Nolo's Quicken WillMaker software allows you to create a customized and comprehensive estate plan for your entire family.